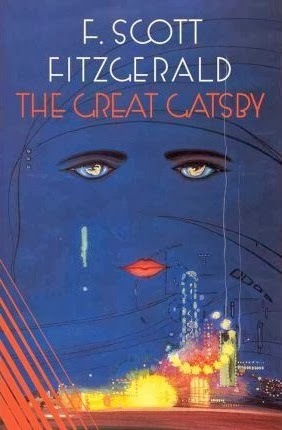 I am completely and utterly ashamed to admit that – although I started reading The Great Gatsby a month or so before the film came out – I went against my most sacred law for reading classics: I went to go see the movie before I was even halfway through the novel. I am even more ashamed to admit that I then watched the film twice more because I happen to worship the ground that Baz Luhrmann (the director) walks on, and only picked up the novel again a couple of weeks ago to finally finish reading it, because it was haunting my dreams that I had left such a beautiful book unfinished for so long. May God forgive me for my sins. Anyway, I’m not going to lie and say that the film didn’t completely change my perspective on the novel. I forced myself to start it from the beginning when I picked it up again a few weeks ago – partly as punishment for watching the film before finishing the book, and party because a small part of me wanted to compare the entire book to the entire movie. Don’t get me wrong, I loved both the film and the novel, and praise F. Scott Fitzgerald for being one of the best authors of all time, but I will forever regret not finishing the novel before seeing the film. As with all books – both good and bad – the movie completely changed my perspective on the characters, setting and themes of the novel. You can never forget what you’ve seen on a movie screen, but for some odd reason it’s easy to replace your own imaginings of people and places with whatever they looked like in the film. Unfortunately, this completely ruined my experience with the novel. Instead of being able to appreciate Fitzgerald’s genius on its own, and clearly see how amazing his writing style and descriptions were, my mind was constantly flicking back and forth between the movie and the novel, reminding me of what would happen next, what the actors looked like in a specific scene, how they sounded. It stopped me from appreciating the novel without appreciating the movie at the same time. Nevertheless, I still thought that The Great Gatsby was incredible – it’s called a classic for a reason, right? The writing was beautiful, the story was breathtaking, and the characters were both bizarre and wonderful. It was just pure brilliance, and reminded me why I resent being born in this century.